Bass-Baritone Michael Wanko loves to entertain audiences and has concentrated on the comedic roles in opera, operetta and musical-theatre. Mr. Wanko worked for 10 seasons at the New York City Opera at Lincoln Center performing Leporello DON GIOVANNI, Sacristan TOSCA, Dr. Bartolo LE NOZZE DI FIGARO among numerous other roles. He made his debut with the New York Philharmonic in concert performances of TOSCA conducted by Lorin Maazel. Mr. Wanko has performed Dulcamara L’ELISIR D’AMORE with Opera Santa Barbara, Opera Grand Rapids, Lake George Opera & The Mississippi Opera. He has performed & covered the title role in GIANNI SCHICCHI with the Utah Symphony & Opera, New York City Opera and Opera East Texas. In addition he has performed Dr. Bartolo in IL BARBIERE DI SIVIGLIA with the Utah Symphony & Opera. 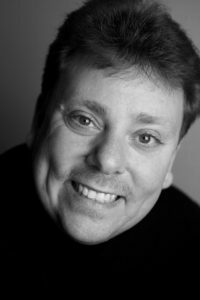 Mr Wanko has recently returned to Utah Opera in 2015 as the Sacristan TOSCA and in 2016 for Baron Zeta THE MERRY WIDOW. Mr. Wanko and his wife renowned soprano Theresa Santiago have performed duet concerts for the Volkswagen Corporation in Hamburg, Germany, the Matinee Musicale in Cincinnati, Cosmopolitan Club NYC, and Clayton Opera House. His European debut took place in Lucca, Italy, as Don Magnifico LA CENERENTOLA, followed by the Barga Music Festival. Mr. Wanko debuted at Carnegie Hall with the Orpheus Chamber Orchestra. Other companies with which Mr. Wanko has appeared include the Michigan Opera Theatre, Kentucky Opera, Knoxville Opera, Anchorage Opera and the Austin Lyric Opera. Mr. Wanko is also a frequent performer of Gilbert & Sullivan repertoire throughout the US in such roles as Ko-Ko THE MIKADO, Major-General PIRATES OF PENZANCE and Sir Joseph Porter H.M.S. PINAFORE. Portions of his acclaimed 2010 performance of Ko-Ko in The Mikado at Michigan Opera Theatre are featured in a documentary about Detroit entitled Detropia (2012 winner at the Sundance Film Festival among other numerous awards and critical praise). Michael has also recently performed with his wife and daughter in the nationally renowned Riverdale Children’s Theatre as Mr. Bumble in OLIVER and FDR in ANNIE.